To be honest, I came to appreciate Pete Seeger only indirectly and later in life. After all I was not yet born when the Weavers hit #1 with “Goodnight Irene”, and I was just a toddler when Seeger was indicted for contempt of Congress for failing to cooperate with the House Committee on Un-American Activities. I did enjoy his music, albeit unknowingly at first. Through Peter, Paul and Mary, the Kingston Trio and others I heard Seeger songs but in other voices. In high school during the early 1970’s each morning we would listen to announcements over the school’s public address system. These were invariably introduced with the Byrds’ rendition of “Turn! Turn! Turn!” Seeger’s activist take on Ecclesiastes 3. Only as an adult did I begin to understand the texture of his remarkable life. I came to know more of his musical legacy when he appeared so consistently in tributes from other artists and documentaries on the development of American popular music (recently in Laura Archibald’s fascinating film, “Greenwich Village: Music that Defined a Generation”). Seeger’s personal history was defined by an uncompromising consistency of character. The musical path from “Talking Union” in 1941 to “Waist Deep in the Big Muddy” in 1967 reflects a philosophical purity hard to imagine in many of today’s artists and antiheros. He dissented around war, labor, race, pollution, big-ness and civic alienation. He was a Party-affiliated Communist early on and though forsaking the party membership remained an egalitarian communist his whole life. He valued participation, political and otherwise, and never performed a concert without modeling it in invitations for the audience to join him in song. Still I cannot help wondering, would a whole nation full of Pete Seegers be contentedly utopian, or simply insufferable? It may be impolite to say so this week, but I think insufferable. Progressivism seems to work best as a compass or governor on market forces, rather than as a replacement of them. It was in that sense that Seeger helped hurry change. And I do not believe it diminishes Seeger’s political legacy to suggest that his music’s resonance comes largely from its historical context as artistic dissent. It is precisely this point that Pete Seeger’s death causes me to reflect upon in my own business and social life. How do I as a leader value and maintain the contributions of an individual whose point of view, if ever dominant, would be ruinous to the group? 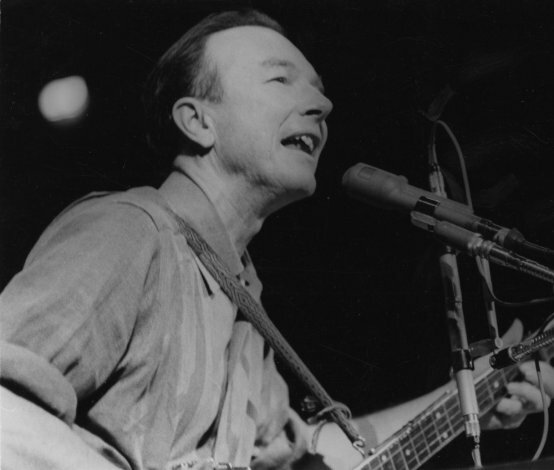 Surely Pete Seeger’s life suggests that healthy dissent can not only be tolerated but revered. The notion of a gadfly has been part of Western thinking since Socrates. However, most of us find that the dissenters and challengers in our organizations are not the congenial Seeger but the irascible Socrates and, I admit, it is often hard for me not to prescribe hemlock. For a healthy nation dissent is worth the effort, and that is why even many arch-conservatives permit a certain admiration if not to Seeger himself then at least to the country that eventually allowed him to exist and thrive as an artist. Mature businesses and social organizations have a similar need and the aged folk singer’s death reminds us of that. Many groups have within them that person whose perspective is so strikingly different and difficult that the leader must often exercise his own personal capital to protect and defend the nonconformist. Here’s hoping we do so. I might hate to live in a world with only Pete Seegers, but I would equally hate a world with no Pete Seegers. Think about your business or social organization. Is there a “Pete Seeger” bringing a different voice? If not, should there be? And if so, is that voice cherished or merely tolerated. The answers to those questions may well be a good thermometer to the maturity of your group.